Davido Lifts A Hot Lady On His Shoulder In The Pool As He Enjoys Swimming In Gabon – Watch Video! Nigerian singer, Davido is definitely an all fun person and he continues to enjoy himself while making music and money. 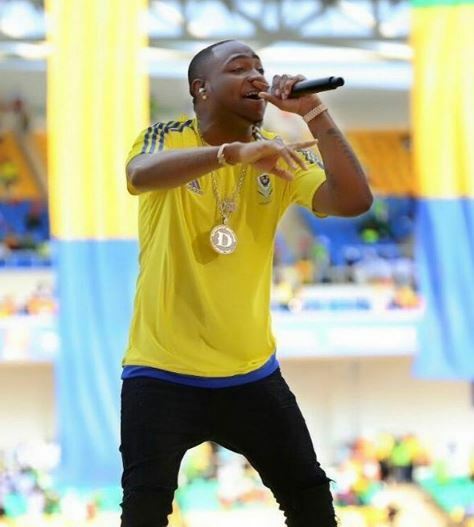 The singer posted a clip via his Snapchat some days ago showing him enjoying himself in a pool as he lifted a hot lady on his shoulder in Gabon where he recently performed at the AFCON opening ceremony. Davido is yet to return to Nigeria but is ready to give us some new music. Meanwhile, Mayorkun’s new single titled ‘Prayer’ featuring Davido will be released later today. Previous story Download Video: Prison Break Season 5 (Trailer) MUST WATCH!! !